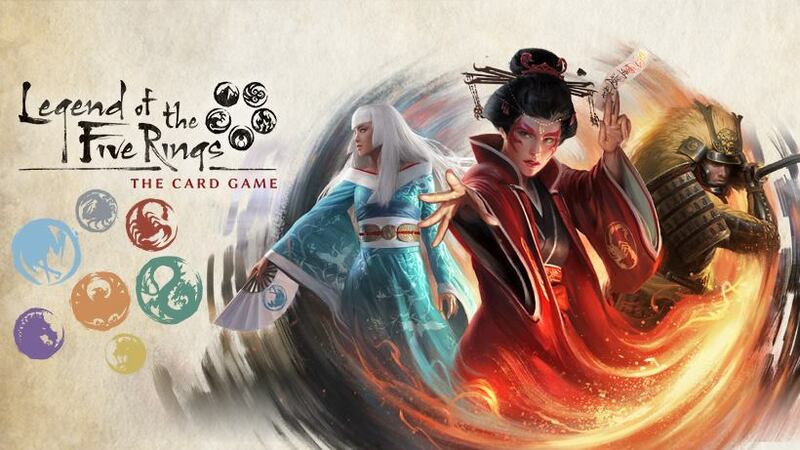 Diversions Puzzles & Games Portsmouth is hosting monthly Legend of the Five Rings LCG tournaments! Entry fee for this event is $5 per person. Door prizes and other promos may be available. Occasionally, there will be extra prize support including available from Fantasy Flight Games. There will be three or four 60-minute rounds, depending on the number of players. There will be a 30-minute break after the second round. Tournaments with over 16 players will cut to a Top 4 for two additional rounds. Players will earn 5 prestige points for each game they win. Players do not lose points for losing games. A modified win will earn a player 4 points, if the game goes to time. Points are totaled at the end of the tournament and prizes will be awarded at the end. All players must follow the rules of Legend of the Five Rings as outlined in the core set rulebook and the FAQ from Fantasy Flight Games.